Mobile Solutions for Traders On the Go, your portfolio in your pocket, Execute trades, get real-time info & more, responsive, trading platform for any mobile device. 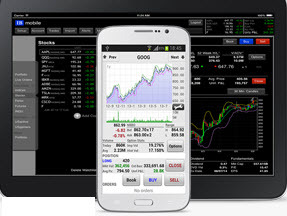 Get the stock research and trading tools you need when you need it through AMID Mobile. 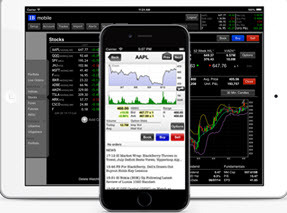 sleek design, advanced tools and comprehensive investment research make self-directed trading The AMID Mobile is available for iPhone® , the iPad® and AndroidTM. View real-time streaming quotes. Access your account portfolio. Check your open orders and executions. Our mobile platform links to our Pro and web platform, orders that are sent update dynamically in all platforms. The same real time Level 2 market data is delivered directly to your mobile device! BlackBerry® RIM®, BlackBerry® Curve™, BlackBerry® Bold™ and BlackBerry® AppWorld™ are trademarks of Research In Motion, registered in the U.S. and other countries.